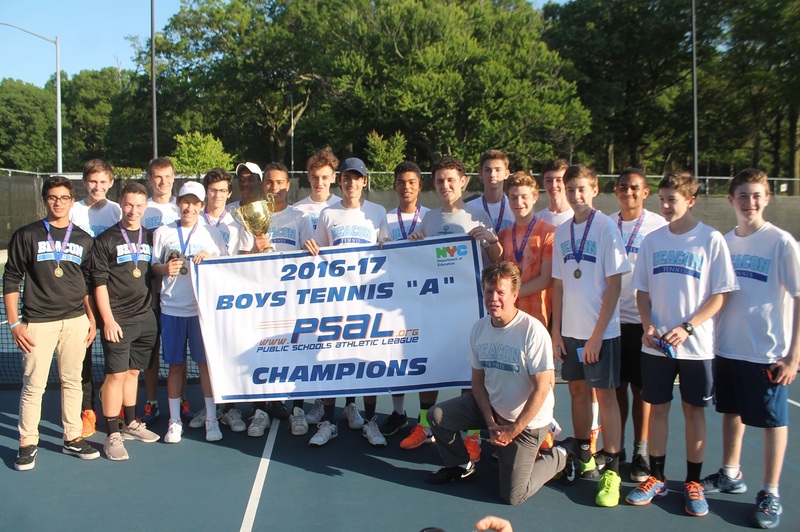 The road to the New York City Championship in Boys High School Tennis has gone through Beacon for a decade. Beacon defeated Bronx Science 4-1 in last year’s PSAL Championship to claim its 10th City Title in a row, a mark of its incredible consistency year-in and year-out. That consistency comes from the top of the program and longtime Head Coach Bayard Faithfull, who will be entering his 18th season at the helm of Beacon. Ethan Leon is the defending New York City individual champion, and will once again compete at first singles for Beacon. Beacon is the favorite to defend its title and maintain its remarkable streak as we head into the Spring 2018 campaign. The school returns all of its starters from last year’s team, anchored by seniors Julian Szuper and Felix Levine, and juniors Ethan Leon and Marcos Lee. Leon, Lee and Levine make up Beacon’s top three singles players, in that order, and provide talent and leadership at the top which has a ripple effect on all of their teammates. While still just a junior, Leon will again lead the Beacon lineup at the first singles spot. 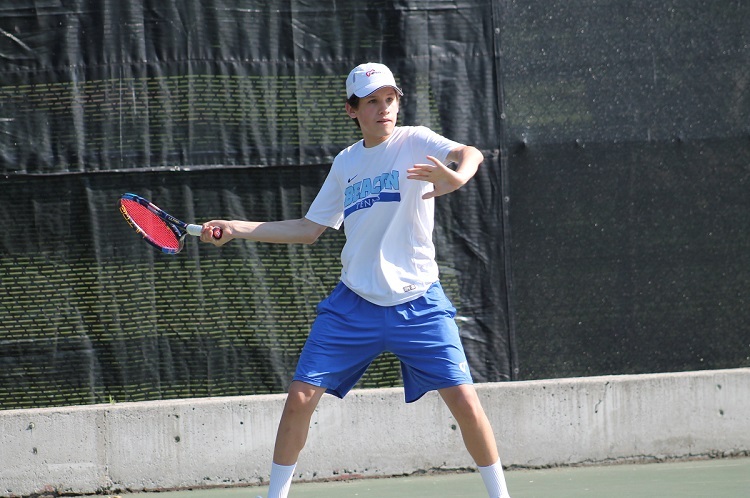 He captured the PSAL Singles Title a year ago, and while he has achieved a great deal of individual success thus far in his career, Leon is still focused on leading his Beacon team. The ability to handle winning and success, yet maintain the desire to work hard in each practice and in each match has been a major factor in Beacon’s incredible run, and is something that is passed down from the older players to the younger players each season. Senior Felix Levine will be a key factor for Beacon in 2018. Another key to Beacon’s success over the years has been its depth, and it has no shortage of that coming into the 2018 season. Noah Edelman, Donovan Brown and Joseph Wilkanowski were all freshmen last season and played prominent roles in doubles. Now a year older and with that championship experience, the doubles tandems for Beacon should be even stronger.